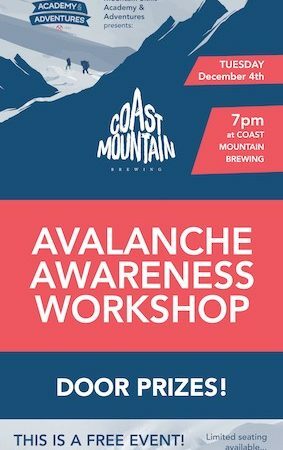 Mountain Skills Academy is hosting an Avalanche Awareness Workshop at our tap house on Tuesday, December 4th at 7pm. 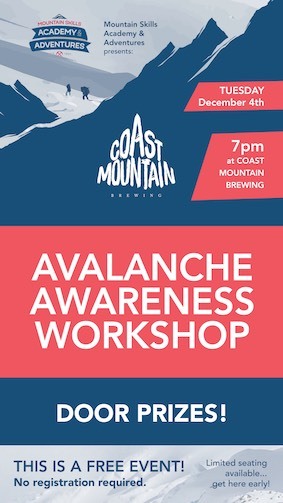 For all those backcountry enthusiasts, this session will be free and open to the public. Let’s get backcountry aware!